Flock Animals in Transit, originally uploaded by [Zakkaliciousness]. In concerto they ride, stopping and starting as the choreographer intended. 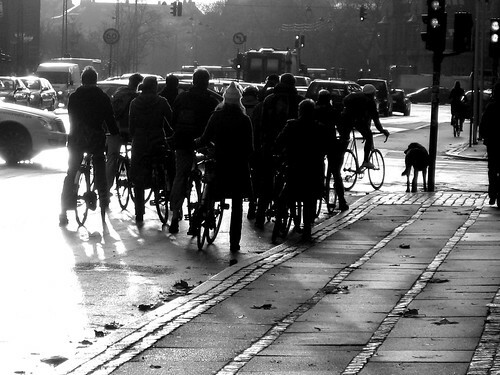 A small crowd of cyclists - a rehearsal perhaps. During rush hour many more bikes will jockey for position on that broad bike lane. 20,000 cyclists each day on this stretch.